thetrolltrader has no other items for sale. 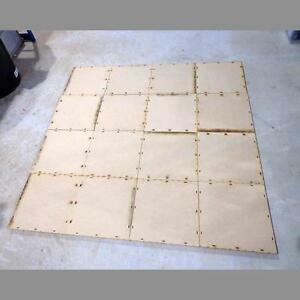 This gaming board is made from 3mm MDF. Model supplied unpainted and will require assembly. We advise using PVA glue for the best results. Total weight of this item is around 5kg. Any models shown in the photos are for scale only and not included. Save up to £1.25 on P&P when you buy additional eligible items from thetrolltrader. Delivery took two weeks; good packaging; very good condition.